We designed this collaborative training for those interested in understanding and practicing Agile Learning Facilitation, starting an Agile Learning Center, developing a relationship with the ALC Network and its southeastern US region. Equally important, ALF Summer is ripe with opportunities for anyone looking to deepen their understanding and engagement in Self-Directed Education, even without plans to start or attend an ALC. ALC Mosaic is a partner and collaborator in the Agile Learning Centers Network and educational model. This year there will be several ALF Summer experiences offered across the ALC Network, designed to provide more options for startups and emerging facilitators, and to strengthen the regional communities within the larger ALC Network. ALF Summer at ALC Mosaic includes 3, 5, and 10-day ALC experiences. Scroll on to learn more. ALF Summer is emergent and always evolving. As such, while we expect to cover many of the "basics" organically and will make time to get everyone's ALC tools & practices questions answered, we also intend to continue embodying personal growth and co-learning this year by going deeper into Self-Directed Education topics than we have in the past. There is much to explore beyond the basic questions of what it looks like and how it works! Those who have been active in SDE spaces for a while are aware of the ways in which SDE work can be a portal and a conduit to so many other levels of personal growth, community building, and social justice work. We intend to go deep in those conversations together this summer, and we’d love for you to join us. Below is a list of possible topics to explore. As always, we’ll co-create our schedule and have a mixture of offerings that come as a direct result of the latest work of our facilitators and the requests and interests of participants. Technology in shared spaces: how to raise aware people while having access to internet, media, handheld devices, etc. Learn about the core ideas that have inspired the ALC model, dive into your personal de-schooling process, and explore ALC tools & practices with this 3-day option. Stay for an additional two days to dive deeper into topics that go well beyond the basics of ALC and SDE. Be a part of co-creating an ALC with other ALC facilitators and startup teams. Stay for an additional week and you can experience ALC Mosaic with some of our students. Immerse yourself in the full ALC experience with all ages and practice facilitation in the ALC context. Do you want to facilitate? Do you want to support self-directed learners in both individualizing their education and building a healthy community? Are you ready to do more of your own de-schooling work so you can support children more effectively? Are you looking for tools and practices to adapt for your own project? Join us for a three-day Basics & Beyond collaborative workshop with experienced ALC facilitators and other ALC startup groups. We will put forth a range of possible topics to explore and share about, while also inviting participants to request specific offerings or make their own. Prerequisites: Please download and read our Starter Kit, as well as Free to Learn by Peter Gray. We may also send you some additional blog posts to read and/or videos to watch before arriving. This option includes the Basics & Beyond 3-day program, plus two additional days of ALC with other adults. While we may be putting forth some topics for the first three days to be covered, the immersive ALC days will have no pre-determined agenda items. You will co-create the experience with us and engage directly with ALC tools and practices for self-organization and culture creation. Experienced ALFs will be facilitating daily intention/reflection groups, as well as making offerings to dive deeper into ALC practices. However, offerings are not limited to theory or discussions. You and others can make offerings that involve movement, the arts, literacy, mathematics, group games — anything! We will create our own ALC (for adults) so you can experience it firsthand. Don’t miss a minute! This option includes Basics and Beyond, the extra days of co-creating an ALC together, and practice facilitating with kids! We are inviting our students to come in for a week of ALC in the summer (something they are excited to do!). This is an immersive experience into what a week in an ALC feels like with people of all ages. Participants can make offerings and request offerings from other facilitators and students, or work on their own ALC start-up projects. The day for adults will run from 9am-5pm, while the students will be at ALC from 9:30 to 3:30. Adults will have the opportunity at the end of the day to reflect on the days’ experience. Lacy Arnold Manship is the Director of Education for the Roots program and founding community member at ALC Mosaic. Her interests are in respectful communication with young children, creating play spaces, natural literacy development, connection to the natural world and critical literacies as a tool for social change. 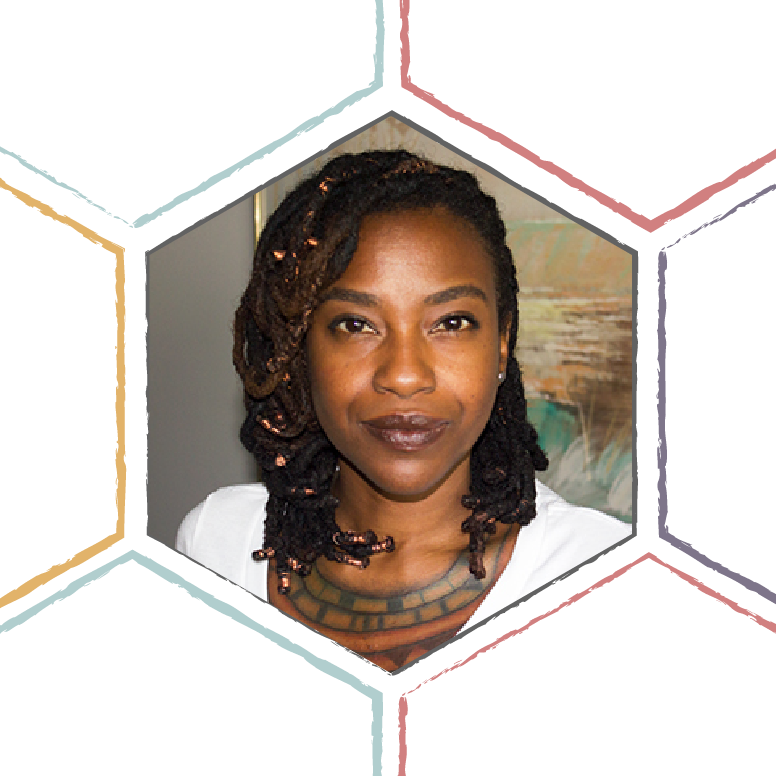 She writes about and tinkers with these ideas as a facilitator and director of Roots, Mosaic’s early childhood program. Nancy Tilton is the Director of Education for the Branches (7 & up) program at ALC Mosaic. After working in public schools in Maryland and North Carolina and a small private Friends school in Charlotte, Nancy set out to start her own school. Inspired by the traditions of democratic schools and unschooling, she started The Mosaic School in August of 2013. After connecting with the first ALC in NYC, The Mosaic School became ALC Mosaic and the first major collaborator in the ALC Network in 2014. Dr. Sundiata is an Independent Educator & Social Sustainability Activist. Sundiata’s work focuses on designing and promoting equitable and sustainable social, economic, and political systems. Sundiata is the creator of GROW, a tuition-free community co-op model for self directed education schools, and the host of Theory of Indivisibility podcast which analyzes the evolutionary origins, current complexities, and future of our social, economic, and political systems. Tomis Parker has been facilitating in Self-Directed Education environments since 2009. He helped birth the first Agile Learning Center in NYC and served as the Director for three years. he now lives in Charlotte, NC where he serves as the Director of Operations. In 2017 he facilitated the launch of the Alliance for Self-Directed Education. He is passionate about sharing the ALC model, building bridges through the work of Self-Directed Education, and supporting communities where people are trusted to create a better world. We are reserving a limited number of sliding scale spots for those who are a great fit for ALF Summer but for whom the cost is prohibitive. Email us at alfsummer@alcmosaic.org for more info. What all is included? Will there be food? Housing? Hot tubs? I’m coming from out of town — where should I stay? There was a time when we offered to find and coordinate housing for everyone, which winds up being quite a thing! We’ve decided to keep the baseline costs of the program lower and ask participants to find their own housing arrangements. That said, we will gladly connect you with other participants once we’ve confirmed you are coming and send you all AirBnB options that are near our campus. We definitely recommend staying with other folks, as it will keep your costs down and provides a much more enriching experience since you can connect after-hours, too. Can I bring my children to the 3,5, or 10-day experience? I’ve already attended an ALF Summer program in the past — can I still come to all or part of this one? Yes! If you have attended any training program hosted by ALC Network or an individual ALC, please fill out the application and let us know about your previous ALF Summer experience. Will I be able to work in an ALC after attending this program? We can’t guarantee that. The ALC Network doesn’t manage the hiring practices of the various ALCs, nor is there a standardized prerequisite for being hired as an ALF. There aren’t prescribed jobs awaiting those who attend an ALF Summer. That said, the ALF Summer programs we are offering in various regions are designed to serve as a catalyst into this work, primarily through our support of self-organized ALC Startups that have already become ALC Network members. What we are offering is both a foundations workshop where you will be informed about ALC as well as immersive experiences. You will be a big part of determining what comes next! I want to open an ALC — will attending ALC Mosaic’s ALF Summer allow me to do this? Let us know on your application if you would like to attend as a start-up ALC and we’ll go from there! You will need to get our basic ALC Network membership at the very least, and then your participation in this program will only help you on your way to becoming a full-fledged ALC. I have more questions — who can I contact?